September 16th, 2006, UI Design. 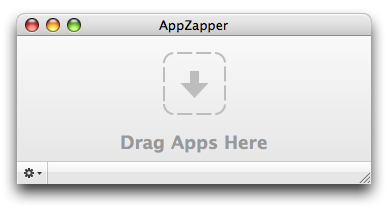 People start using AppZapper to uninstall apps, but after discovering how satisfying it is to press the zap button, they begin uninstalling apps to use AppZapper. When I first read this I thought “yeah, sure” but thinking more about it, I have to admit they are right. I do, from time to time, try to find “useless” apps on my hard drive just to zap them. I guess I am in need of more video games :) The thing is, if those guys manage to create an application as pretty, as easy and as fun to use as AppZapper, I might really well start burning optical discs more often. Maybe I will even start backing up my photos somewhere than on hard drives. The other really interesting thing about Disco is the hype its authors created around it. In association with MacZOT, they are trying really hard to catch our attention and needless to say they succeeded, quite easily with that. I am amazed by the number of products that choose this path nowadays (remember the flawed Origami by Microsoft and their new “ah ok yet another MP3 player” Zune?) One thing is for certain: I want to see their UI, right now!